San Francisco, Sep 8 (IANS) Ending round-the-clock rumors that had sent the world of technology into a tizzy for quite some time now, Apple on Wednesday unveiled its stunning iPhone 7 and iPhone 7 Plus along with next-generation ‘Apple Watch Series 2’ at the jam-packed Bill Graham Civic Auditorium here. So, this is what iPhone 7 finally has: Water and dust resistance, dual-lens camera (in iPhone 7 Plus), a pressure-sensitive home button, 7 MP HD front camera and 12 MP rear main camera. The phone will come in four colours: Jet Black, gold, silver and rose gold. “Optical image stabilisation in all new iPhones, allowing for up to 3x longer exposure,” Tech Crunch reported. Apple’s twin lens setup is wide angle and telephoto in the iPhone 7 Plus. For actual, optical zoom, one lens handles 1x zoom; the other handles 2x, the report added. iPhone 7 Plus now has 10x zoom. The camera app is getting a “portrait” mode that’ll use the dual-lenses and depth mapping to simulate the DSLR visual quality. “We’re not saying that iPhone replaces your DSLR. We’re saying this is the best camera we’ve ever built in any iPhone. For many customers, it’ll be the best camera they’ve ever owned,” said Philip W. Schiller, Senior Vice President (Worldwide Marketing) at Apple. The device also has a quad-LED flash with 50 per cent light output, and can detect/compensate for the imperceptible flickering of energy efficient lights. 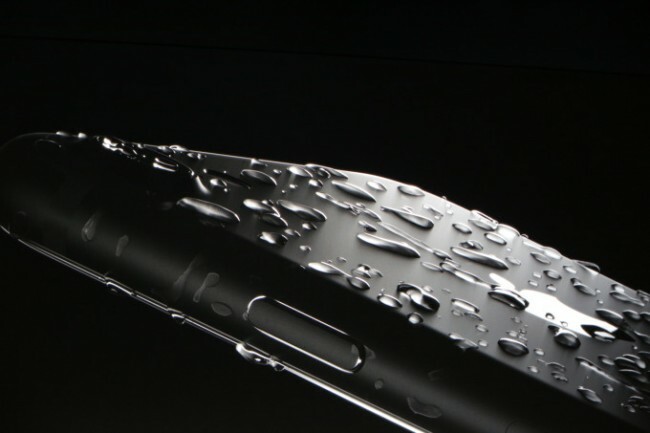 Starting at $369, the ‘Apple Watch Series 2’ will be water resistant to 50 metres and the speaker will literally repel the water like a piston. Pre-orders for ‘Series 2’ will open on September 9 and the shipment will start from September 16. “The Watch uses the speaker as a sonic water impeller to push water out after a swim,” Tech Crunch reported. The device will have a dual core processor with GPU that is up to two times faster. The second generation Watch will have the brightest display ever 1,000 nits so that users can see it in full sunlight) and runs watchOS 3. “If you’ve used a GPS Watch before, you know that sometimes it can take a while to connect to satellites. With Apple Watch, you just hit start and it’s ready,” Jeff Williams, Apple’s Chief Operating Officer, told the gathering. Apple also introduced a new ceramic Watch case and band. The tech giant will continue its partnership with Hermes to build Series 2 Watches. Apple also unveiled Apple Watch Nike+ — a watch built with runners in mind. “Selling in just eight months of 2015, we became the second most popular watch brand [behind Rolex],” Williams said earlier. The GPS-powered Pokemon Go game has also arrived on Apple Watch. Apple Watch series 1 will start at $269. “Since its launch, Apple Music has grown to 17 million subscribers. Seventeen million Apple Music subscribers compared to 39 million for digital music service Spotify,” Apple CEO Tim Cook announced. “140 billion apps have been downloaded from the iOS App Store till date. In the last two months, we’ve seen [downloads] grow by 106 per cent year over year,” Cook told the audience, adding that Apple App Store has seen two times as much revenue as our closest competitor. Apple also debuted a ‘Notify’ option on the App Store for a brand new “Super Mario Run” game. 'Selfie' teaching going mainstream. Any takers?